Hi guys. 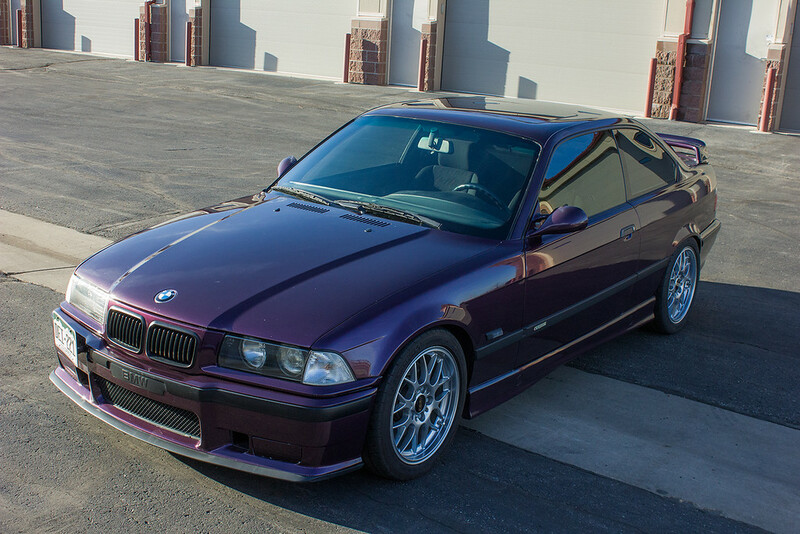 I'm looking to trade or sell my Daytona '95 M3 coupe. 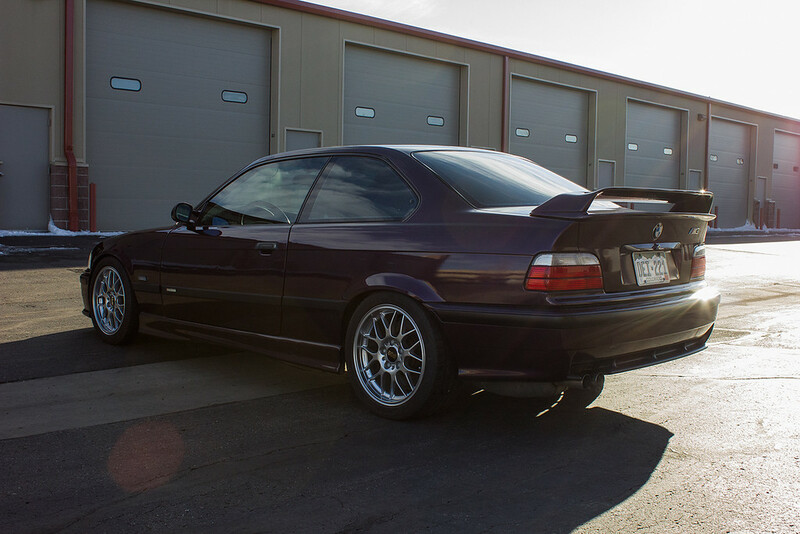 It's a great car that I enjoy regularly when the weather is good and is by far the liveliest E36 I've ever driven. It's had some engine work done and it runs very well. Riot Racing cams, TMS chip, 3.5” MAF, AFE intake, TMS shorty equal length headers and Bimmerworld track pipe were installed right around 200,000 miles. 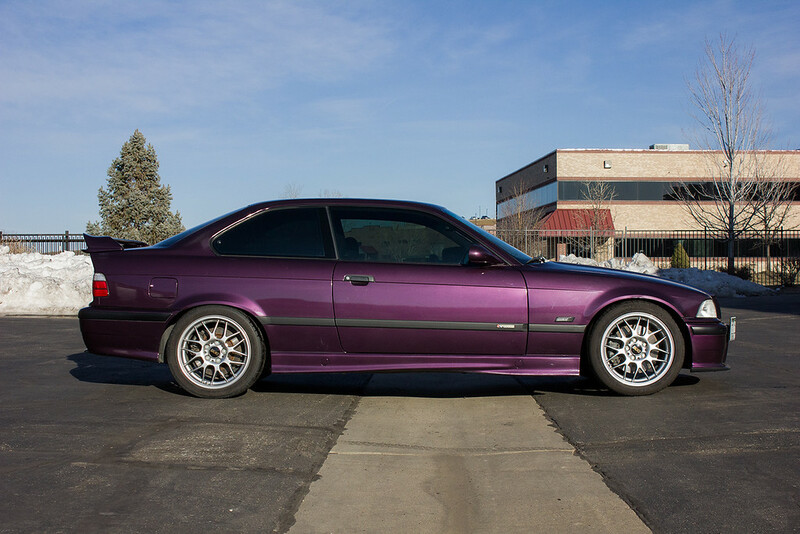 Dyno from last year in Denver shows 235whp (corrected) so it’s very strong for a 3 liter. The differential is a 3.38LSD from an Automatic M3. 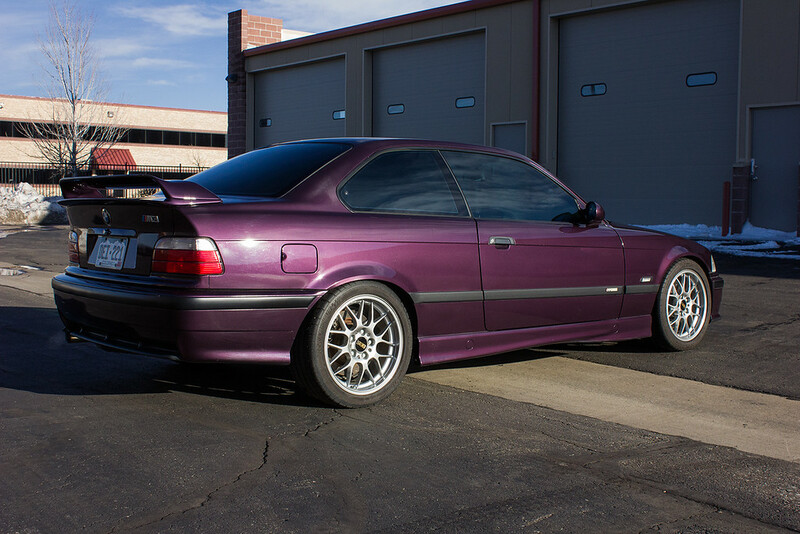 Suspension changes include Stance coilovers, camber plates, Dinan strut brace, adjustable rear camber arms and adjustable sway bars. Wheels are BBS RGR 17x8 purchased brand new last year with 245/40/17 Michelin PSS. Differential bushings have been replaced with solid aluminum because the previous owner was intending to track the car. The rest of the suspension bushings seem to be original type and other than a little clunking over driveway entrances the ride overall is really nice for a car on coilovers. ~202,000 miles showing, receipts indicate a rebuilt head and other engine work at around 140-150,000 miles. Recent work includes a new fuel pump, radiator, water pump, hoses, serpentine belt and tensioner. Transmission was replaced just before 200,000 miles with a lower mileage ZF320 from a 3.2 liter M3 and has had the detent pin update done. New Rogue Engineering short shift kit, lightweight flywheel and E34 M5 clutch kit were installed when the transmission was replaced. AC was working last summer but compressor was getting noisy. 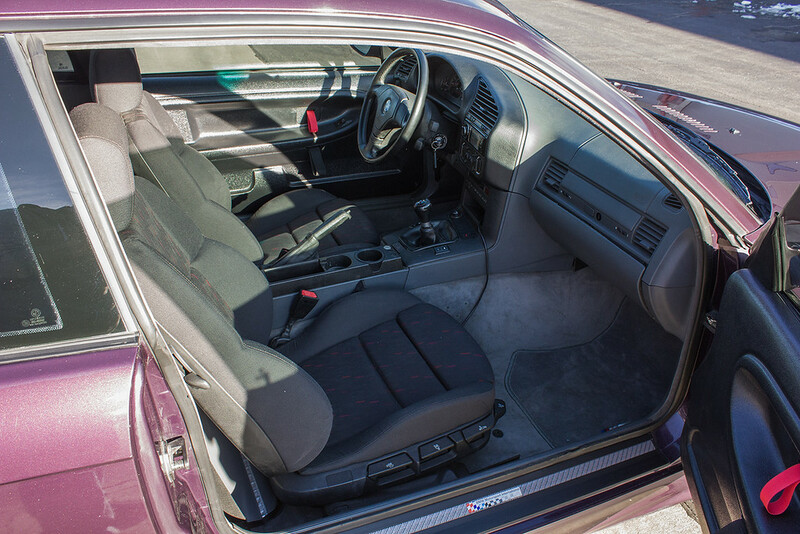 The interior has been changed around a bit but the original rear seats and door panels come with the car. Currently a rear seat delete kit and lightweight ABS door panels are installed. 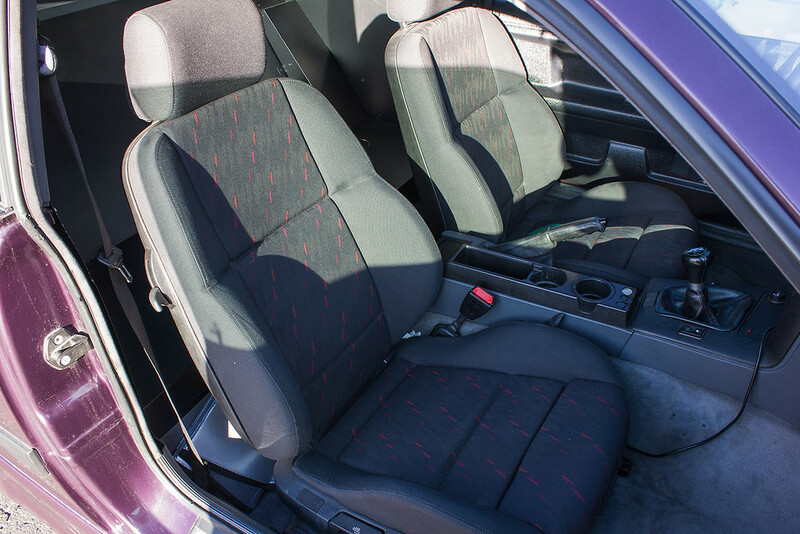 A pair of genuine E36 M3 Lightweight seats were also installed by the previous owner - as you guys know these are super super rare. 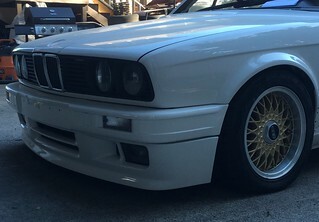 They were purchased from Bimmerhaus, apparently from a ~20,000 mile M3 LTW. The wing is a reproduction from Abrahams Motorsport and the risers will be included. The car could use a paint job but to look its best, but on a positive note it is totally rust free and looks decent overall. There’s some clear coat failing on the roof now but I’ve kept it sealed and waxed to slow the degradation. I'd like to get $10k for this car or a similar value trade. Ideally I'd like to work out a trade for a clean E30. I'd prefer a coupe but a nice sedan could work for me too. Euro bumpers on an early car would be a big plus. An E28 would also be cool, especially one in red or white. 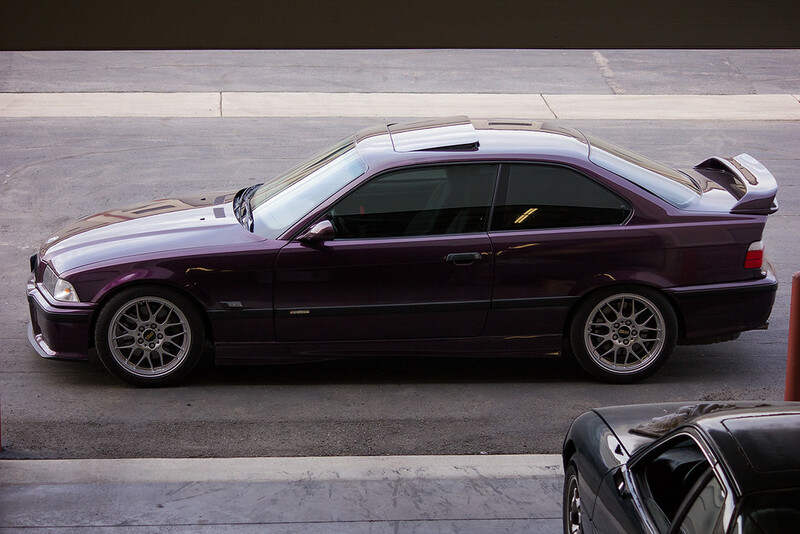 Maybe even another E39 540i 6 speed. If interested please PM me. Thanks. Last edited by euroshark; 04-16-2019 at 08:30 PM. Any interest in an Alpine/anthracite herringbone cloth, '91 318is with a well done M50tu conversion...? Oooooooor perhaps, an '03 530i 5-speed, sport package, etc, black on tan...? Glad to see you are still bouncing around R3v and the BMW world, always with excellent taste.